Hi dear friends! 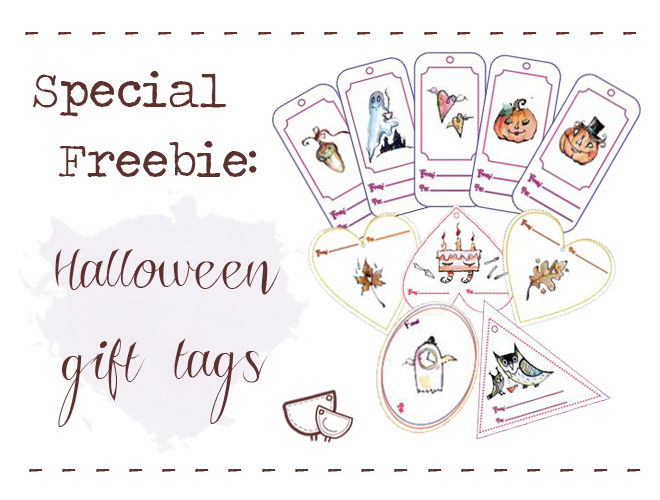 Today we prepared for you 10 variants awesome and very unique Halloween gift tags. The images are created by Paulina Rodriguez (aka Donna Quixote) and the tag design was developed by her sister Sasha (aka Ralehandra). Rectangular (5 pcs), oval (4 pcs) and triangle (7 pcs) gift tags are in this .pdf file - download it from here. Nine heart-shaped gift tags (with 3 different images) are in this .pdf file - find it here. Print these .pdf files at 100% onto thick paper and cut out. Use an eyelet puncher to make a eye. Add a nice cord and decorate your gifts! Thank you so much! Such a great idea!